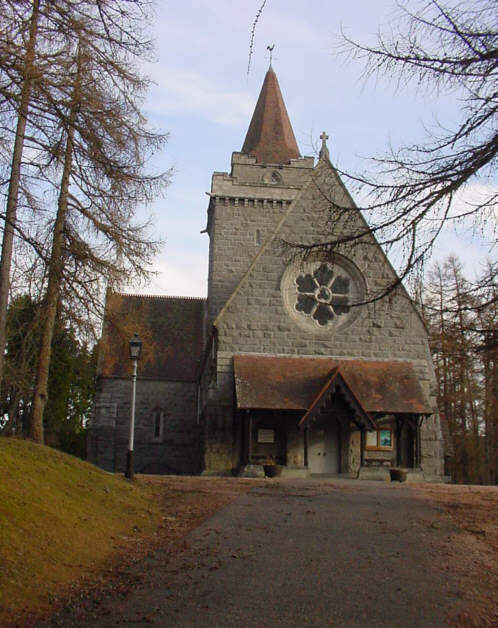 This is a picture of the small Highland Church made famous due to its patronage by the Royal Family when in Scotland. It lies about � of a mile east of Balmoral Castle, which is another world famous attraction for the tourist to visit (very limited opening times). The present Church was built in 1895 and overlooks the old Kirkyard where the remains of the original 14th Century church can still be seen. John Brown, Queen Victoria's personal servant is buried here within the old walled cemetery.